In this watercolor mixing tutorial, I’m mixing up two colors to create deep brown-red shades for leaves and foliage. 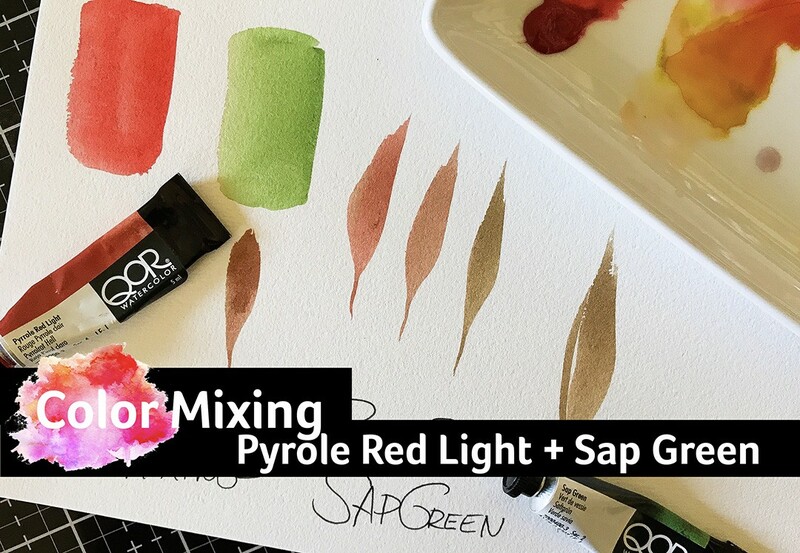 Using Qor Watercolor Pyrole Red Light and Sap Green, I’m mix mashing them together to experiment. Not gonna lie, I didn’t love this at first. I’m using Qor Watercolors in this video, but you can give this a go with your favorite brand of watercolor. I like to mix mash brands when painting and I encourage you to experiment with what you have in your stash. You could take these two colors from any brand and experiment! The Craft Your Joy Online Classroom. 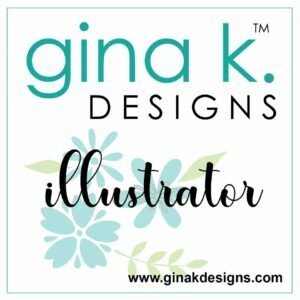 Classes for Artists, Crafters, Enthusiasts, YOU! Head on over to the Classroom HERE. Watch the introduction videos and see for yourself. There are also introduction videos for each course along with detailed descriptions so you can get an in-depth idea of what you can expect. I built this classroom so you can Create Art that Makes You Feel Good alongside me! I love to know what you think! Let me know in the comments and take advantage of the special offer I’m running! May you find pause from the hustle, and pure joy in the making. If you are interested, please consider joining my email list. See below. Follow me on Instagram and Facebook for daily artspiration! 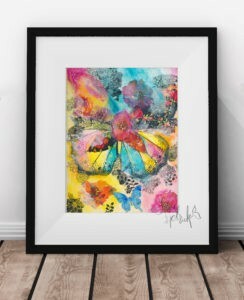 You can Subscribe to my email list and receive this FREE Art Print Download. Click the image to subscribe. Subscribers receive exclusive downloads, offers, and updates about 3-4 times a month. Join me! Subscribers opt-in and may unsubscribe at any time. Affiliate links are used above for products I absolutely LOVE. Purchasing through the link means I will receive a small commission at NO additional cost to you.